It has been harder and harder for certain tabloids and other sections of the UK media to push doubt and disinformation about the existence and seriousness of climate change. With the last three years each consecutively breaking records for the highest ever global temperatures the 'sceptics' are fighting a losing battle, and they know it. "does this mean that truly dangerous global warming is less imminent, and that politicians’ repeated calls for immediate ‘urgent action’ to curb emissions are exaggerated?" This article is only one example of the deliberate misinformation which has made it much easier for those wishing to cut "the green crap" (attrib. D. Cameron) to delay and divert vital policies to cut UK emissions. The main culprits are Rupert Murdoch's Times and Sun, Richard Desmond's Express, Lord Rothermere's Daily Mail and the Barclay brothers' Telegraph. The editorial policies of just five billionaire newspaper-owners have had a huge impact. In the absence of any serious regulation, the only meaningful leverage is through advertising revenue. The campaign Advertising Action on Climate Project is calling on those in the business community who already understand the seriousness of the climate threat, and whose massive advertising budgets are the major source of revenue for these climate sceptic media corporations, to use this influence constructively by urgently engaging in dialogue with these media organisations’ editors and owners on the issue. The purpose of such a dialogue would be to seek assurances that, as a beginning, all climate crisis coverage would in future be science-based and that an end would be put to the flood of uncontested comment and editorial articles from non-scientific climate-sceptic lobbyists. I welcome the very positive leadership on climate change provided by BT for some considerable years, especially your commitment to reducing your own emissions by 80%. "Proud as we are of our own record, doing less environmental damage is no longer enough. At BT we are moving beyond simply making our own business more resource efficient, to really showing how our communication technology products, services, and expertise can create a better future for our customers, suppliers, and our planet." 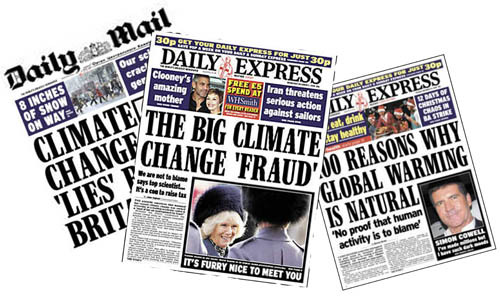 The group (Advertising Action on Climate Project – AACP) believe that the biggest blockage to the urgent actions needed is the promotion of non-science based, climate-scepticism by six UK national papers – Times, Sun, Express, Star, Daily Mail and Telegraph. Many government climate action programmes attacked by these papers have been dropped or reduced, including on-shore wind-farms, poverty reduction insulation programmes and zero-carbon homes. I note that you are a significant advertiser in a number of these papers, including the Daily Mail. 1. 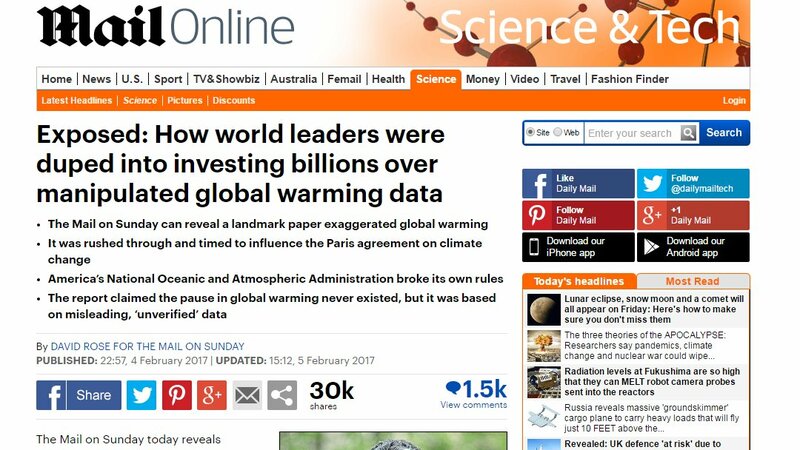 Would you be willing to constructively lobby the editor-in-chief (Paul Dacre) and the owner of The Daily Mail Group (Lord Rothermere) to end their publication of non-science based anti-climate action articles and to instead pro-actively help with UK efforts to tackle climate change? 2. Will you ask your marketing department to ask the Daily Mail advertising sales department, as a supplier of advertising services to BT, as you are doing with the rest of your supply chain, to provide you with information about what steps the Daily Mail Group are taking to reduce their carbon emissions? 3. Would you be willing as part of a wider consortium, of say a minimum 10 corporations, to fund advertorial in the Daily Mail, stating the urgency for action on the climate crisis and the positive actions now needed? With global temperatures now breaking historic records month after month, we cannot afford the delay in the urgent action required on this global emergency, caused by these papers’ climate sceptic propaganda. I note that Stop Funding Hate has already mobilised significant public support for deadvertisement from these media groups. I am writing to you to ask for your urgent support for the Climate De-Advertisment Campaign being run by the Advertising Action on Climate Project (AACP). I welcome the positive commitment Marks & Spencer’s have made to becoming the world’s most sustainable retailing company, through its Plan A project. I also welcome your commitment as part of Plan A to embed sustainable practices into your sourcing of services. I strongly believe that the single biggest blockage in the UK to the urgent actions needed to tackle our climate crisis is the promotion of non-science based, climate-scepticism by six UK national papers – The Times, The Sun, The Express, The Star, The Daily Mail and The Telegraph. Numerous government climate action programmes attacked by these papers have been subsequently dropped or reduced, these include on-shore wind-farms, insulation programmes and zero carbon homes. With global temperatures having been breaking historic records month after month, we cannot afford the delay in the urgent action required on this global emergency, caused by this climate sceptic propaganda. The funding of such climate-action blocking newspapers through your advertising budget is incompatible with your Plan A commitment to embedding sustainable practices in your service providers, in this case your advertising providers. I am therefore calling on you to immediately halt Marks & Spencer’s advertising investments in such media companies until such time as they commit to and actually begin reporting responsibly on the climate crisis. Most worrying is the timing: it will be used by Republicans in the US as ammunition for their war on climate action and the EPA (Environmental Protection Agency) in particular.